Central full length vision panel. Surrounding Five horizontal grooved panels in vertical borders. The Vancouver range also has a Glazed Fire Door (44mm) version, further glazed variants, and also standard 35mm and bi-fold doors. Oak Vancouver Long Light. 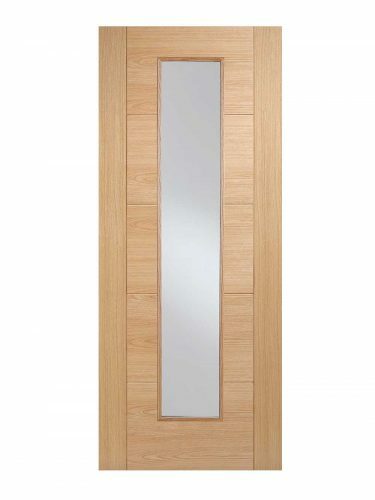 Further developing one of our best-selling, modern doors, is the long light alternative. This slim, glazed panel allows for an even more contemporary finish.